The Turnbull govt’s ‘National Energy Guarantee’–a policy that would prolong the use of gas and coal, and curtail renewables–has been dealt another serious blow. “We won’t be signing up to anything that undermines Victoria’s nation-leading renewable energy and climate change policies. In contrast to the divided Turnbull government’s NEG, Victoria continues to show leadership on renewable energy, with Minister D’Ambrosio today announcing the Andrews government has received 15 submissions to its first round of renewable energy auctions totaling 3,500 megawatts of capacity. These comments are welcome — Victorians won’t be bullied into a bad outcome for wind and solar jobs at COAG — especially as the state makes progress towards the Victorian Renewable Energy Target. 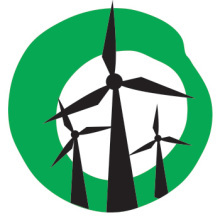 “Victoria is playing a leading role in renewable energy and won’t be bullied by the Coalition into a bad outcome for wind and solar jobs at COAG” said Pat Simons, Yes 2 Renewables Coordinator. “The Andrews government has stood up to Malcolm Turnbull over calls to tear up Victoria’s ban on fracking. We believe they can stand up to the Federal Coalition once again on renewable energy,” added Simons. Victoria’s push back on the National Energy Guarantee is likely to embolden other states. “The Andrews government’s push back on the NEG creates a path for other states to follow. The community would welcome greater leadership from Queensland Premier Annastacia Palaszczuk” said Simons. Federal Energy Minister Josh Frydenberg has failed to develop national energy policy during his time as responsible minister. Minister Frydenberg gave an address to the National Press Club yesterday in hopes to build momentum towards a COAG Energy Council meeting occurring next week. Victoria and the ACT’s opposition to the NEG has taken the wind out of Frydenberg’s sails. Community members will rally outside the COAG Energy Council meeting in Melbourne next Friday the 20th of April and call for energy ministers to rule out any policy that curtails renewables, prolongs gas and coal generation, and undermines climate change action. TAKE ACTION: RSVP to the Snap Rally for Renewables at the COAG Energy Council Meeting in Melbourne on Friday the 20th of April. SHARE: the event on facebook and twitter. CHIP-IN to our fighting fund and keep our community campaign on the road. Next Next post: Pollie Watch: Will Victorian Liberal MPs support workers & wind farmers?